No pre workout supplement is complete without a decent dose of creatine. Along with the nitric oxide boosters and caffeine, creatine is a must-have ingredient in your top pre workout supplement because it helps you lift heavier weights and gives you a good muscular pump. A pre workout with creatine will really boost your performance and also save you money because you don't have to buy a separate supplement. Below we take a look at the best pre workouts that include creatine and let you know why creatine is worth taking. Creatine is a naturally occurring amino acid that is present in meat and fish but also produced by the human body. It is converted into phosphocreatine or creatine phosphate and primarily stored in the muscles where it is utilized for energy. The body generates about half of its creatine requirements while the rest comes from food. 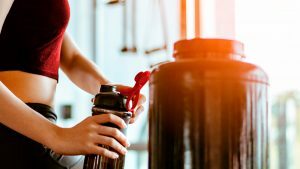 Combining the energy and stamina you get from a pre-workout with creatine is like a match made in heaven giving you everything you want in a supplement. Adding creatine to your pre workout is a good idea for a number of reasons. 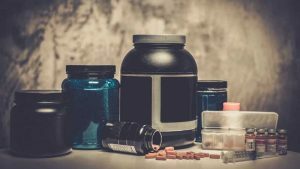 It's been shown to be the best supplement when comparing the world's most popular sports supplements. It also has the added benefit of being cheaper and safer than many of the others too (​1). Increases muscle energy output - Creatine converts to phosphocreatine which is stored in your muscles. This is then utilized to make ATP which is the key molecule your body uses for energy. Adding creatine into your pre workout means giving your muscles more phopshocreatine to use for energy during your workout. Who doesn't want more energy?! Increased strength - High intensity exercise is fueled by ATP energy which needs phosphocreatine to be produced. Phodsophocreatine is created from creatine and when you supplement with creatine you can increase your stores of phosphocreatine in your muscles. It is as a result of creatine' ability to do this that it has been proven to increase strength and power (​2). Using creatine alongside a strength training program has been shown to inflate the training--induced increase in satellite cell number and muscle cell nuclei concentration in human skeletal muscle fibres thereby enhancing muscle fibre growth in response to that training (​3). Increase muscle growth - Creatine is one of the few most effective and most scientficially siupported supplements that can directly add muscle mass when combined with exercise (​4, ​5). Research has shown that creatine increased muscle mass when added to an exercise regimen. The study was done over 8 weeks and show that bench press strength was improved and a protein called myostation was reduced (​6). Myostation inhibits muscle growth. Speeds up muscle growth - As well as increasing muscle growth it can also speed it up. Even taking creatine for a short time has been shown to signinficanlty increase lean body weight and muscle size (​7). This, at first, is caused by an increase water content in the muscles, but the long term it also aids muscle fiber growth and increases performance in the gym (​8, ​9). Increases exercise performance - creatine has been shown to improve performance in high intensity, short duration exercise (​10). Studies have shown thatr creatine can help improve performance in a number of ways. It can improve brain performance(​11), resistance to fatigue (​12), sprint ability (​13) and muscle endurance (​14) to name a few. Faster recovery - Creatine can also help you recover faster. Now you know how great it is, let's take a look at the top pre workouts that include creating. Optimum Nutrition offers a range of popular fitness supplements. 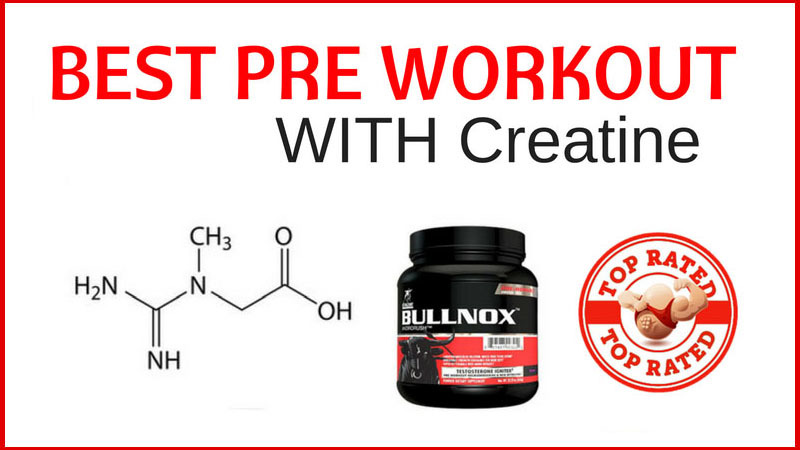 Their pre workout with creatine is one of the best on the market as it contains enough creatine for a regular maintenance dose, so you don't need to top up your creatine from another product (unless you are loading). The maintenance dosage for creatine is between 2-5g depending on your body weight. If you are loading you will need a lot more but the assumption would be that in a pre workout, a maintenance dose would be what you are looking for. 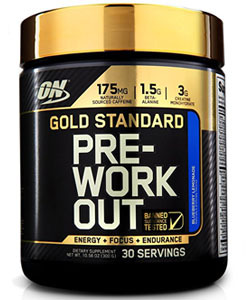 Optimum Nutrition's Pre Workout offers 3g of creapure creatine which is within the 2-5g recommendation. So from this standpoint alone, it is a worthy product for consideration. Optimum Nutrition also contains 175mg which is roughly 2-4 cups of coffee. 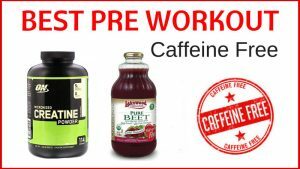 Compared to some pre workouts this is on the low end when it comes to caffeine, but for most it is plenty enough and you will certainly feel it if you aren't a caffeine drinker. ON's pre workout also contains 1.5g of carnosyn beta alanine to help increase endurance and 1.5g of citrulline malate which helps boost nitric oxide levels thus giving you great pumps. better endurance and better recovery after your workout. This product is also tests for banned substances to give it a bit more trust than others. If you are concerned about the quality of the pre workout you are buying, then this should hopefully put your mind at ease. It also has 6 flavors to choose from which have had positive feedback. Of course with anything, we all have our own tastes so trying out a few to find your favorite is a must. 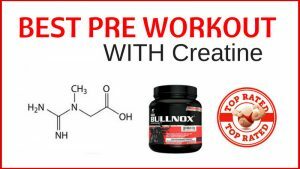 PROS – ​​Effective pre workout with the right amount of creatine. No bloating, great taste and transparent ingredient list. CONS – Not every flavor is to everyone's taste and some people ​felt it did not meet their needs. CONS – ​​​Not every flavor is to everyone's taste and some people ​felt it did not meet their needs. Jacked Factory's ALTIUS offers a great range of ingredients in higher doses than most other pre workouts on the market. Generally you'll find most have half the amounts which won't necessarily give you the boost in energy and mental focus you need. ALITIUS includes 3g of creatine which is a great dose for maintenance. It also contains 3.2g of beta alanine, which is double what you usually find in pre workouts. ALITUS contains 325mg of caffeine which is pretty high. The recommended upper limit of caffeine is 400mg so if you consume caffeine during the day too, you might want to factor in whether this will push you over your daily higher limit. ALTIUS is naturally sweetened with stevia which is a good thing because too much sugar is not great for your diet. However stevia is like marmite - you either love it or hate it. Some people just can't tolerate the taste of it in high doses, while others find that its completely fine. 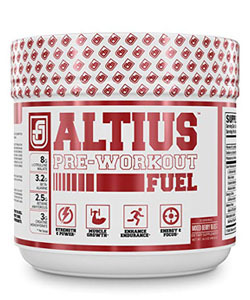 If you;'re looking for a pre workout with no artificial flavors and sweteners then ALTIUS ticks the box. ALTIUS is a phenomenal creatine-filled pre-workout supplement. It has a fantastic ingredient profile that includes citrulline malate, which helps nitric oxide production and makes you run longer, betaine anhydrous, which helps you lift weights, and, our favorite, creatine monohydrate for explosive power. ALTIUS is without a doubt one of the best pre-workout supplements with creatine and will help you no matter what you fitness endeavor is. It’s particularly good for Crossfit and will help you clean barbells from the floor, do lots of pull-ups, row, sprint, swing kettlebells, box jumps, and so much more. PROS – ​​Great energy and focus with enough creatine to help you maintain. Many customers found they had no side effects from this product. No artficial ingredients. CONS – ​​Some people really did not like the taste. PROS – ​Great energy and focus with enough creatine to help you maintain. Many customers found they had no side effects from this product. No artficial ingredients. CONS – ​​​​Some people really did not like the taste. This is one of my new favorites. Evulution Nutrition offers a great pre workout that will increase energy, power and focus. Each serving delivers 2,000mg of creatine complex (which includes creatine monohydrate), 35mg of niacin, 2mg of vitamin B6, 25mcg of vitamin B12, 1,600mg of beta-alanine, plus caffeine, huperzine A, and a bunch of other goodies that are sure to take your workout to the next level. ENGN offers 2g of creatine per serving, which is within the range for maintenance mode. (Some sources seem to say it includes 3gs so be careful to read the label as you could be getting a little more which is great). Over half of this is creatine monohydrate which supports performance and increases strength. The other portion (around 750mg) is creatine magnapower which is creatine bonded to magneisum. Being bound to magnesium is thought to enhance uptake of creatine. ENGN also has 1.5g of beta alanine as well as betaine and agmataine sulfate which supports nitric oxide levels and therefore blood flow. This gives you plenty of support for muscle strength, power and pump production during your training. ENGN also contains caffeine and infinergy which is caffeine bonded to malic acid. The caffeine amount is 300mg per scoop which is in line with most pre workouts on the market. For many this can be way too much starting out so you may want to go with ON's Gold Standard which offers half the amount. It also contains l-tyrosine which supports focus and enhances your mood during training. It also has choline bitartrate which supports mental speed and muscle activity. It also has a range of vitamins too for the body to recovery with, as well as niacin which helps use carbohydrates more efficiently. I really love this supplement because it doesn’t have a bunch of harsh side effects and it still delivers great energy, pumps, improved endurance, and improved strength. If you’ve just made morning workouts part of your daily routine or you need to smash through a plateau, I heartily recommend you pick up a very reasonably-priced tub of EVLUTION NUTRITION ENGN. And if flavor matters to you, you’ll be happy to hear that this pre-workout tastes delicious. I suggest the Blue Raz flavor. With the creatine, caffeine, and NO boosters from this product flowing through your system, banging out an extra 2-3 reps per set is a piece of cake. PROS – ​To many this is the best pre workout they have tried, offering everything they need: focus, energy, strength and endurance. 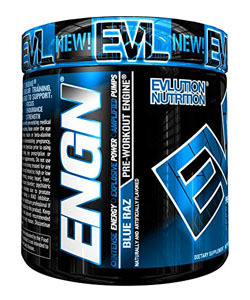 ENGN offers 2g of creatine per serving, which is within the range for maintenance mode. (Some sources seem to say it includes 3gs so be careful to read the label as you could be getting a little more which is great). Over half of this is creatine monohydrate which supports performance and increases strength. The other portion (around 750mg) is creatine magnapower which is creatine bonded to magneisum. Being bound to magnesium is thought to enhance uptake of creatine. ENGN also contains caffeine and infinergy which is caffeine bonded to malic acid. The caffeine amount is 300mg per scoop which is in line with most pre workouts on the market. For many this can be way too much starting out so you may want to go with ON's Gold Standard which offers half the amount. PROS – ​​​To many this is the best pre workout they have tried, offering everything they need: focus, energy, strength and endurance. There you have it, folks. 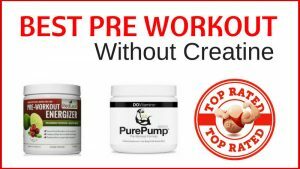 If you are looking for the best creatine pre-workout supplement, you simply have to pick one of the top 3 from this list. I’ve tried all of them and I have to say that picking an all-time favorite is extremely difficult. If I had a bunch of money and wanted to treat myself, I would just buy all five and rotate through them. But if you can only afford one at a time, these are the five best creatine pre-workouts on the market and each one is sure to give you superb pumps, focus, and gains! I still only use the Dr Max Powers Creatine Pills – I have tried all of them, and the Dr max was the first one I tried – and I went back to ut cause it is really great. i was recommended to try this by a personal trainer, as I previously haven’t taken any supplements while training and I wanted to see what difference adding a few would make. After the first week or so, I notice that I could handle more weight than normally in my exercises. Thanks for the suggestion – I will check them out.